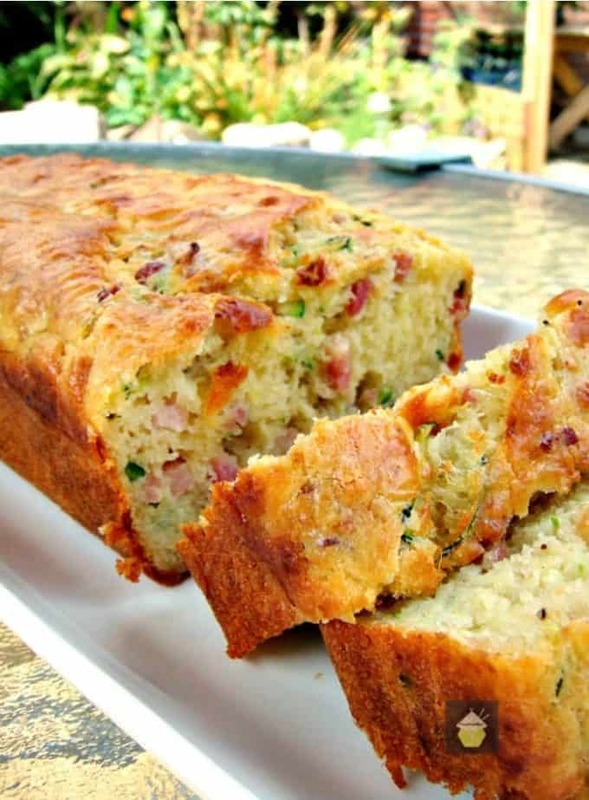 Beer, Bacon, and Cheddar Cornbread An easy recipe with a great flavor combination. 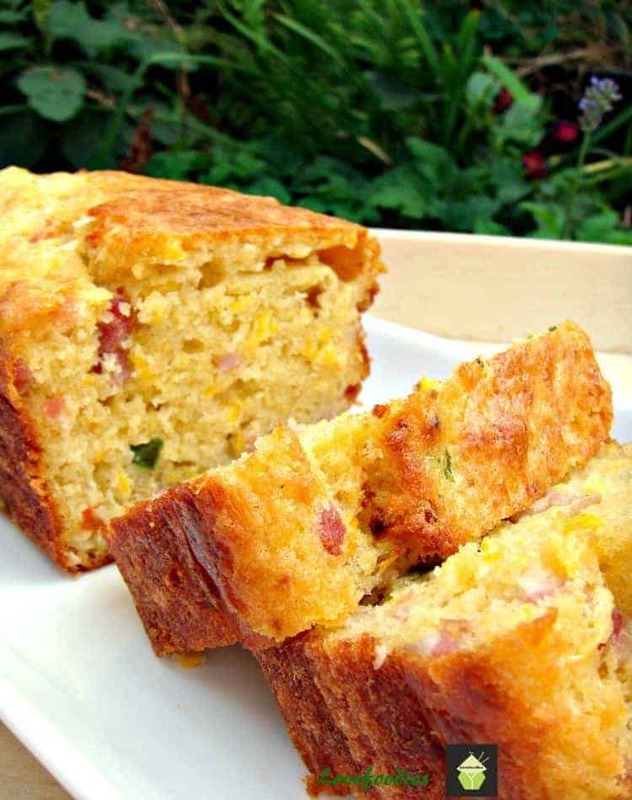 Beer, Bacon, and Cheddar Cornbread An easy recipe with a great flavor combination. Goes well with soups, chili, stews or simply on its own! Beer, Bacon & Cheddar Cornbread! What more can I say about this! It’s one of our most popular recipes at Lovefoodies, it’s certainly easy to make and of course absolutely delicious! This is a great tasting cornbread, and the stronger the beer, the stronger the flavor, so you can choose your favorite beer to go in this great recipe. Cornbread is always great as a side dish, and the addition of bacon, beer, and cheese simply elevates this to the top level of tastiness! So let’s see how to get this on our tables at home. We’ve had so much feedback from those of you who have made this delicious beer, bacon and cheddar cornbread. Some of you have made it as part of your Thanksgiving menu, some for Christmas, potlucks, July 4th celebrations, added as part of lunchboxes, for BBQ parties. You can serve this all year around, for example, in the Spring and Summer months, serve in slices alongside some cold cuts and some or our lovely corn and cucumber picnic salad and in the cooler months, this goes great with casseroles, such as our delicious Tender Beef Casserole and our tasty Bacon and Brussels Sprouts Gratin. Also, for lunch, how about some beer, bacon, and cheddar cornbread with a nice bowl of hot Nanny’s Chicken Soup. 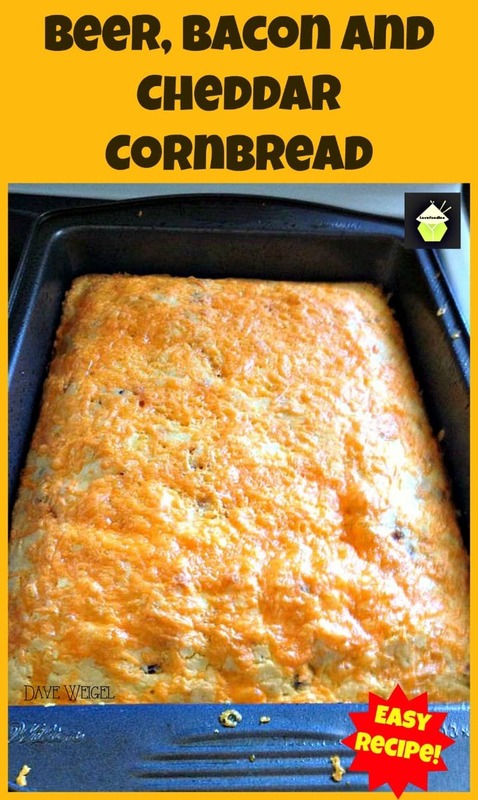 Whichever way you decide to serve this lovely cornbread, you certainly won’t be disappointed! Gosh, the list is endless! 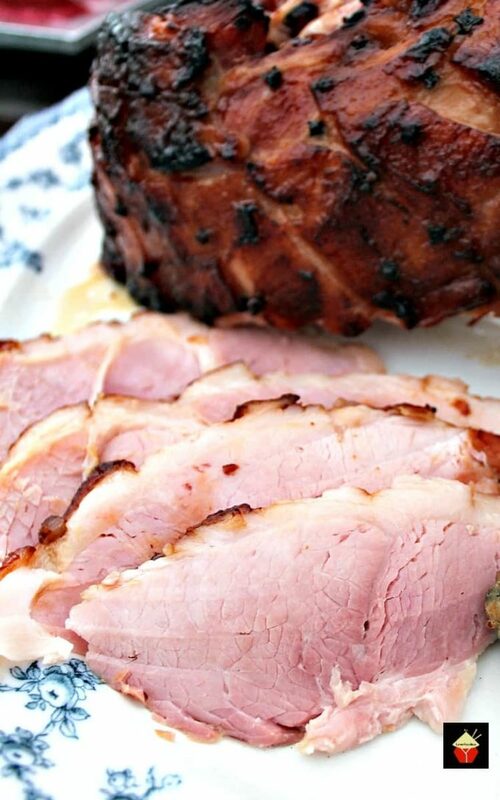 So thank you all for your feedback and comments on how much you’ve enjoyed this recipe. We’ve also had some of you say you’ve thrown in a handful of chopped Jalapeno peppers to the batter. Yummy! 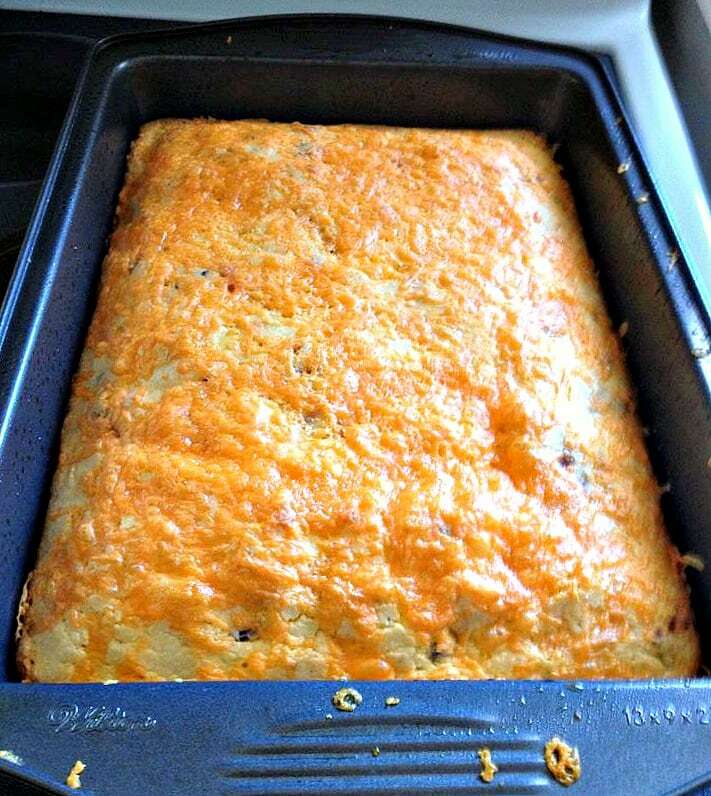 So let’s get straight to the recipe and see how we make this delicious beer, bacon and cheddar cornbread. Please enjoy! For the full recipe to print out see our handy recipe card at the end of the post. 1. In a mixer combine all the dry ingredients. In a separate bowl, combine all the wet ingredients. 2. Add the wet ingredients to the dry in the mixer until just combined, then add the bacon. 3. Pour into a greased baking tray and spread the batter evenly. ( 9 x 13-inch cake pan). Add the 1 cup of cheese to the top, spreading evenly. 4. Bake at 375 F for 30 – 35 minutes. 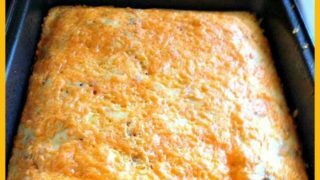 We’d love to hear from you and what you thought of our Beer, bacon, and cheddar cornbread recipe. Did you make any changes or add some other goodies? Let us know in the comments below. Thanks for reading and happy cooking! Looking for a reliable and strong baking pan? We’ve got this one here we can recommend, it’s strong so it doesn’t bend in the heat of the oven, nonstick and dishwasher safe. I love this pan because it comes with a handy plastic lid so you can store your cornbread or transport it to your party without it going dry! Cheesy Bacon, Sweetcorn and Pepper Bread. It’s really delicious and popular all year round. Here’s a great Cheddar and Ham Chowder which goes nicely with the cornbread. So delicious! In a mixer combine all the dry ingredients. In a separate bowl, combine all the wet ingredients. Add the wet ingredients to the dry in the mixer until just combined, then add the bacon. Add the 1 cup of cheese to the top, spreading evenly. Bake at 375 F for 30 - 35 minutes. I add a can or two of chopped green chiles, and I also mix some cheese into the batter. Beer/Bacon?Cheddar Cornbread………….instructions do NOT state if bacon is be drained prior to addition. Please let me hear from you. I just made for the 1st time, added only a wee bit of the grease, and have fingers crossed~~~it looks great, but not done yet! ALSO…………..cool in pan before plating the bread? 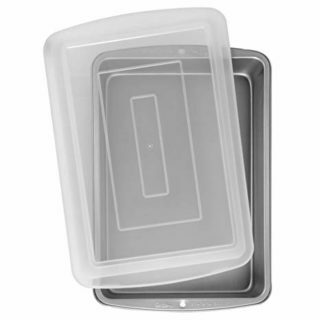 Dump onto serving plate immediately from oven?? This will help me greatly………….tks so much! I don’t use alcohol. Is there anything that can be subbed for the beer? Something carbonated maybe? I added some jalapeño and corn. I also used Broken Compass (Breckenridge, CO) Chili Pepper Pale Ale as the beer for the recipe to keep with the chili pepper flavor. Finally, I used the fat from cooking the bacon to substitute for most of the butter. I’ll be taking a double batch to Broken Compass tomorrow evening where the staff is having a chili cook-off. I figured some cornbread made with their beer will make a good side. Hopefully the cooled cornbread will come out of the pans OK. The first 1/2 batch (1/4 of the total I made) crumbled when I took it out of the pan hot. Due to very high elevation (about 9,000′) I may need to add extra moisture (egg, milk?) the next time I make this. Has anyone frozen the Beer, Bacon, Cheddar Cornbread? I want to make it about a week ahead of a brunch. Thanks!! Hi really enjoyed the bread I added jalapeño peppers to mine. That looks like a loaf pan, not a 9″X13″ pan. Unless it’s the camera angle. Why bother with baking powder and salt? Just use self-rising corn meal and flour – way easier. I just made this, it was super yummy! I cooked the bacon in a cast iron pan and then just poured the batter over it and popped the whole thing in the oven, I also subbed out butter and added olive oil (light) and Yogurt for the sour cream, aslo used parmesean as I did not have cheddar! So good, so thank you for the yummy bread! Go there. With the beer bacon cornbread. Do you k ow if it’s ok to make ahead and freeze? Is it necessary to use sugar? I don’the like sweet Yankee cornbread. Hi there! You can leave it out to suit your taste! Haha – sweet cornbread is definitely NOT Yankee – only Southerners put sugar in cornbread. And most of us do not use flour, either – it is cornbread, not a cake! Uh, wrong, chief. Southern cornbread either has no sugar or very little. And traditional southern cornbread is just cornmeal, not flour. Northern cornbread has much more sugar, typically uses flour, and is often called “Johnnycake”. You got that one backwards. I cook mine in CAST IRON SKILLET!!! Maybe so but now that I am home to make it I can’t get the recipe to come up like it did when I was at Walmart! Totally – and you put the oil (not butter – it will burn) in the skillet, heat it until very hot, pour oil into batter, then pour batter into skillet and transfer to oven. Sprinkle a little cornmeal onto the oil. Heat in oven until cornmeal is a little brown ,then pour mixture into skillett and it won’t stick ! Learned that trick from my little southern mother in-law !